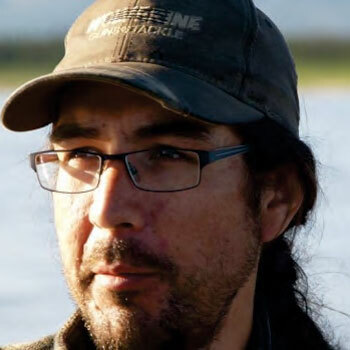 Waterloo – Northern activist Daniel T'seleie will speak as part of Wilfrid Laurier University’s annual Cold Regions Research Centre Day on Dec. 1 at 12:45 p.m. T'seleie will give a talk called "Sovereignty: extraction, climate justice and direct action" in Laurier’s Senate and Board Chamber on the Waterloo campus. T'seleie is K'asho Got'ine Dene from Radili Ko (or Fort Good Hope, Northwest Territories) and is an articling student at Olthuis Kleer Townshend-LLP. T'seleie is also legal council for the Liidlii Kue First Nation and a practitioner and trainer of non-violent direct action tactics and strategy, with a focus on environmental and climate justice and assertions of Indigenous sovereignty. He is also a founding member of Dene Nahjo, a northern non-profit dedicated to advancing social and environmental justice for northern people while promoting Indigenous leadership by fostering emerging leaders. Cold Regions Research Centre Day also includes a full-day conference in Laurier’s Paul Martin Centre organized by Cold Regions Research Centre early career researchers Kaitlin Kok, Branden Walker and Élise Devoie. The day will kick off with remarks by Robert Gordon, vice-president research and acting provost, followed by 36 research project presentations by Laurier undergraduate and graduate students in the cold regions research program from 8:30 a.m. until 5:30 p.m.
Laurier's Cold Regions Research Centre is a world-leading research centre with a focus on mountain and northern cold regions, covering areas including hydrology, climatology, glaciology, resource management, parks planning and biogeochemistry.